Check out 2 amazing DIY recipes of DIY nail polish remover that will keep your fingernails protected! Buying nail polish removers in the market is not only expensive, but also very destructive for your nails. Constant application and removal of nail polish can do some extensive damage to your cuticles and nail surface. So instead of using commercial and synthetic nail polish removers that are doing more harm than good, why not prepare your own nail polish removing solutions? How you ask? Read on to find out inexpensive and easy methods to prepare your own nail polish remover at home. If you want to try an all-natural nail polish remover, this may be the best option for you. It is completely organic and safe for the nails. All you need is 1 lemon and a few spoonfuls of apple cider vinegar. Squeeze the juice from the whole lemon into a bowl. Ensure it gives out at least one to one and half tablespoons of lemon juice. Next, add 3 tablespoons for apple cider vinegar and mix it well. 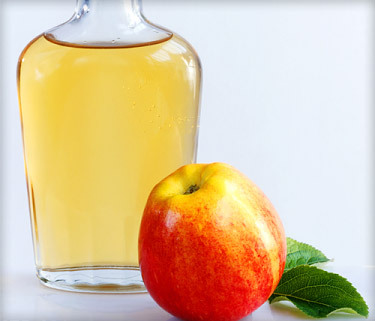 If you do not find apple cider vinegar easily, you can also replace it with white vinegar. Mix the solution well in a deep bowl. Dip your fingers in it so that your fingernails are completely soaked in the solution. Hold your hand there for 30 seconds and rub the nails with a cotton ball after. Make sure you soak each nail completely in the solution. If the nail polish doesn’t come off in the first go, repeat the process once again. Once you are done, wash your hands with warm water and apply some moisturizer on your hands focusing on the nails and cuticles. 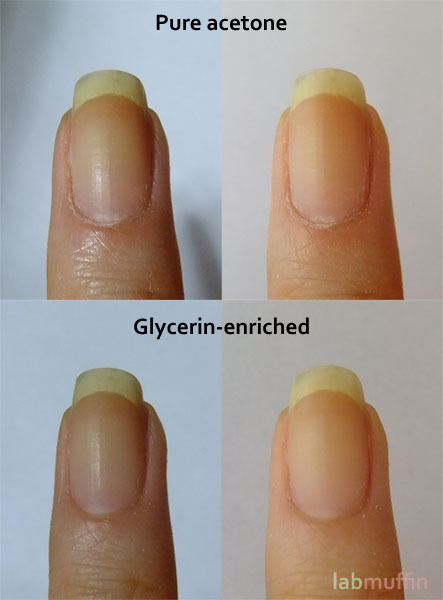 For a stronger and more moisturizing nail polish remover recipe, a mixture of glycerin and acetone works wonders. This is also a good solution to apply if you often experience dry cuticles and hang nails. Since this remover recipe contains acetone it makes it a lot easier to get rid of the paint, while the glycerin tones down the harsh effect of the acetone and also moisturizes the nail surface. Both acetone and glycerin are easily available and with the addition of some water you have your home made nail polish remover ready. 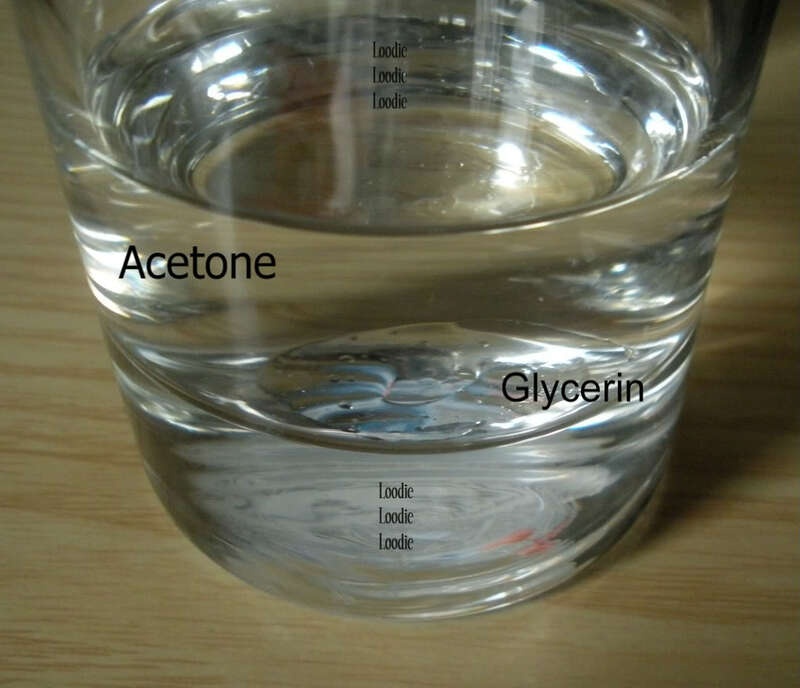 Based on the quantity you need to prepare, mix 10 parts of acetone with 1 part glycerin and 1.2 parts water. Add it to a bottle and shake it vigorously so the ingredients mix well. Then take some of this solution on a cotton ball and use it like you would use your regular nail polish remover. This recipe can be prepared and stored in the refrigerator for 1 to 2 weeks. So if you are planning to get multiple manicures in a short span of time, it makes sense to prepare a bottle full of this mix and keep it handy to use. These recipes are easy to make and the ingredients are easy to find as well. Just a quick trip to your local grocery store and you can create your own DIY nail polish remover range in no time. So say no to harsh chemicals and give your nails the good treatment with these organic and moisturizing recipes.